We don’t just do sports! Collection Connection has extensive experience with all kinds of framing projects. 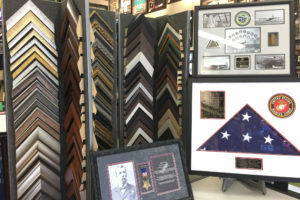 With over 1000 frame styles and hundreds of mat and museum quality options to choose from, we have everything you need to bring your special project to life. Our dedicated and experienced design staff look forward to working with you so stop in today. 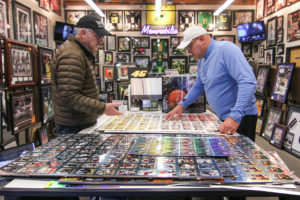 We have full time design experts on staff that can help you choose the perfect mat, frame, glass and plate options to make your artwork look outstanding at price that wont break the bank. With over 1000 frame styles from ornate to metals to wood, we have the perfect frame for your project. 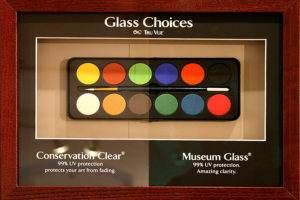 We carry Museum, Conservation Clear, Standard and even Acrylic glass for any framing need. Talk with one of our specialists today to find out which option fits your needs. 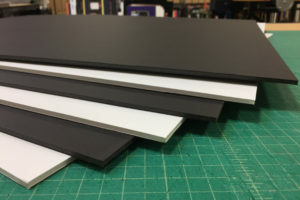 Foam Core in Standard and Acid Free varieties help protect your art and strengthen the frame to resist age related deterioration. 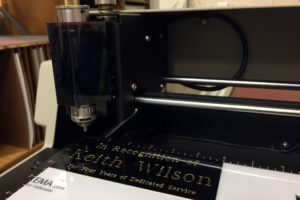 We provide in-house custom engraved metal plates in multiple color options, giving any piece of art that high quality look and feel.